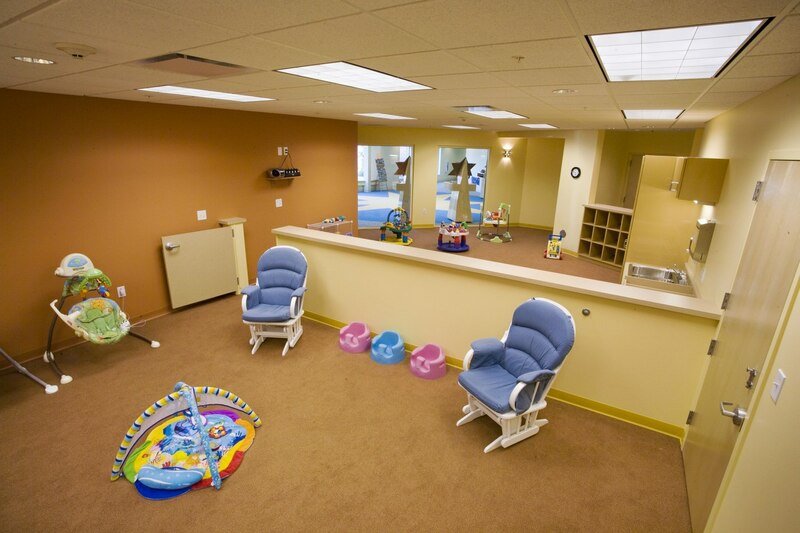 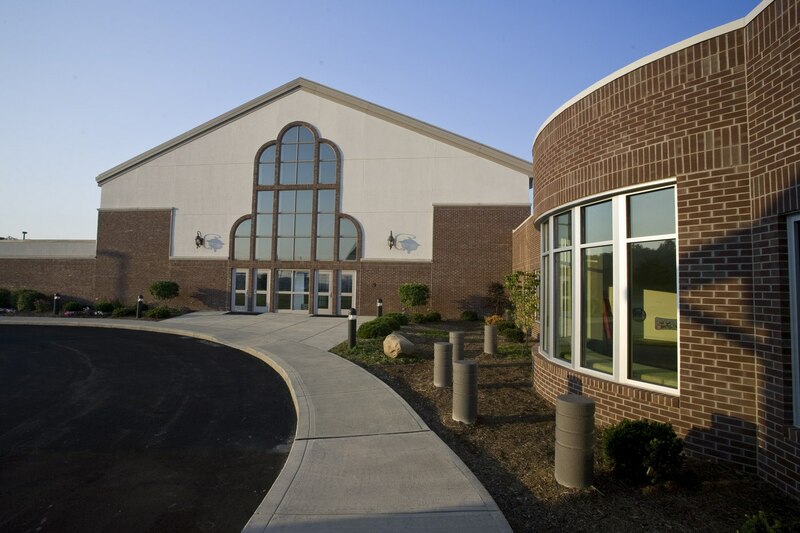 Situated among a community of young families, Hamilton Hills Baptist Church found in Fishers, IN, needed to consolidate their children’s ministry space, some of which was in a portable building, into a safe and inviting permanent facility. 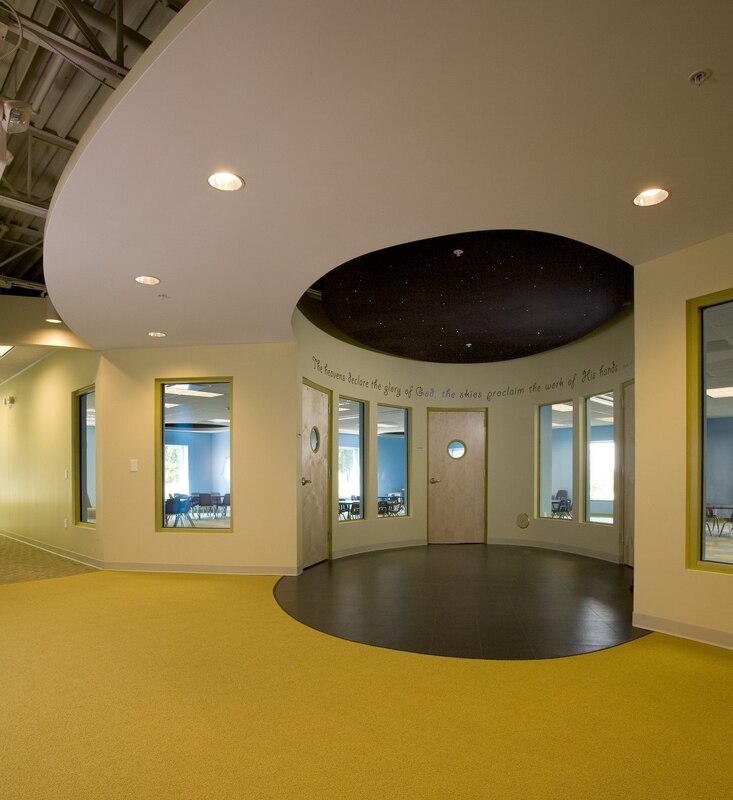 Aspen Group architects and interior designers worked closely with the church to create a space filled with color, shapes, and light. 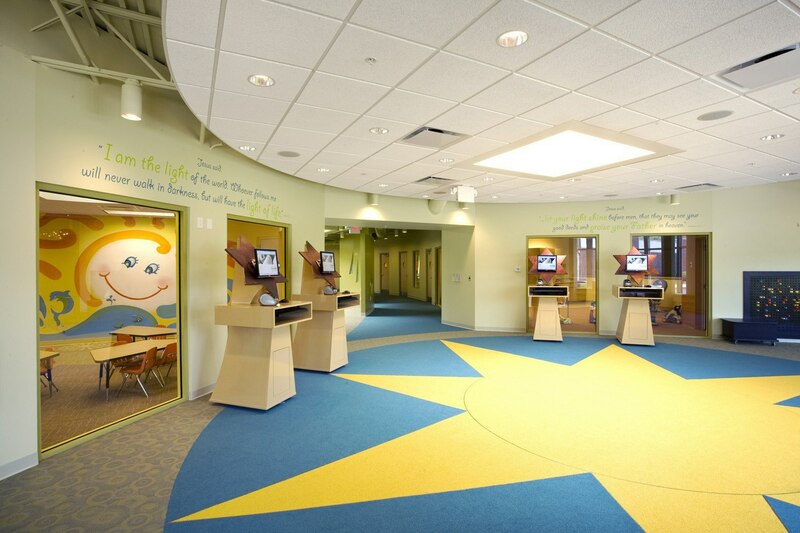 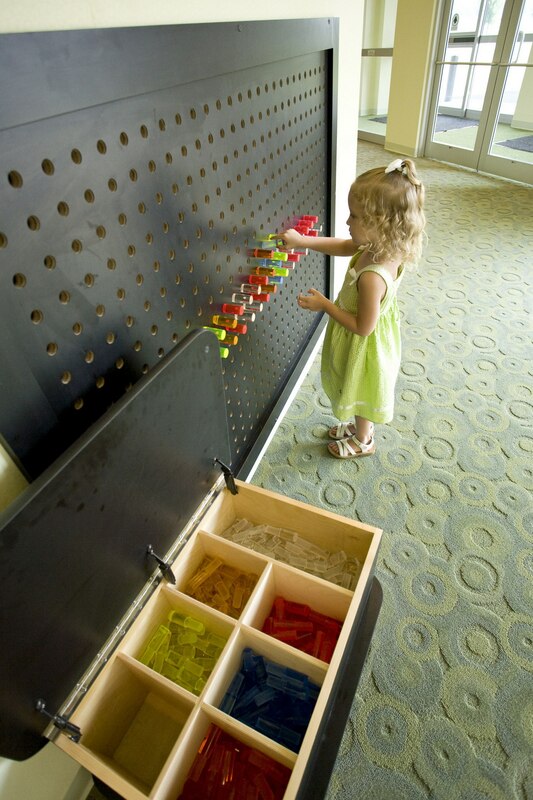 The entryway welcomes children and their parents with bold colors and fun shapes including star-shaped check-in kiosks mimicking the carpeting pattern. 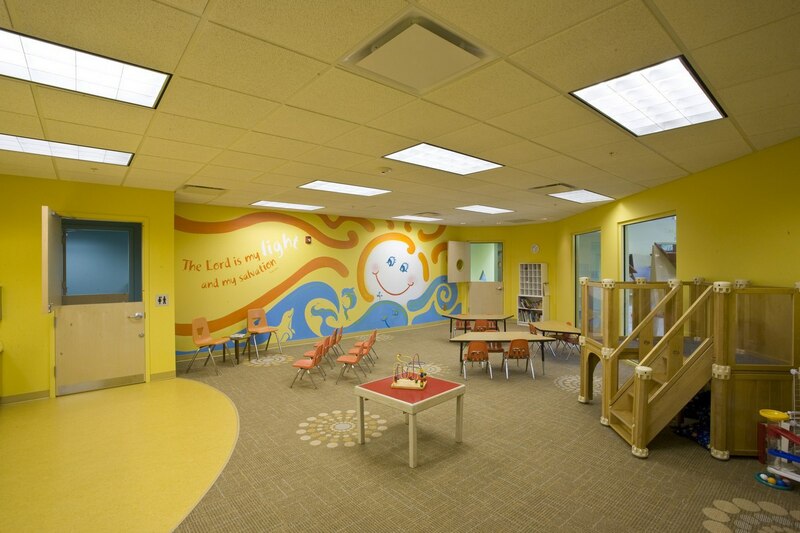 Curved walls and soffits create natural traffic flow and visual excitement while skylights and large exterior windows allow natural light. 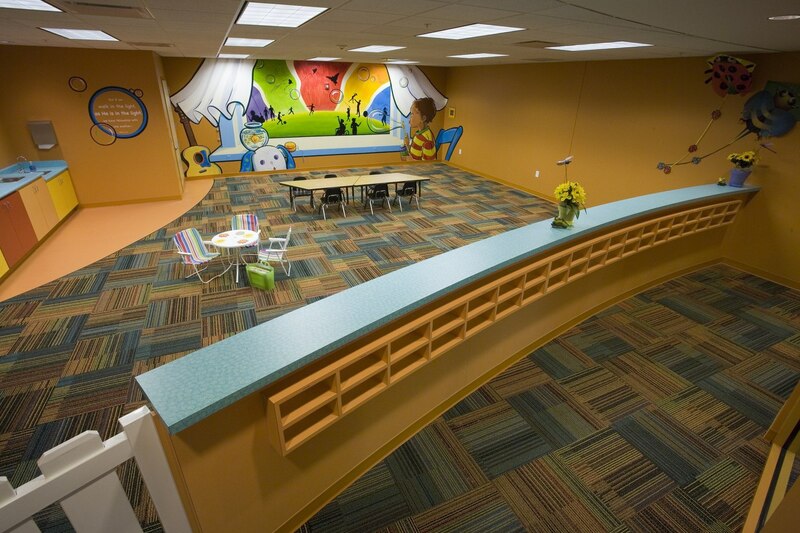 Colorful murals cover classroom walls, one featuring fiber optic twinkle lights in the mural to represent fireflies that complement the insect-shaped accent lights hanging from the ceiling. 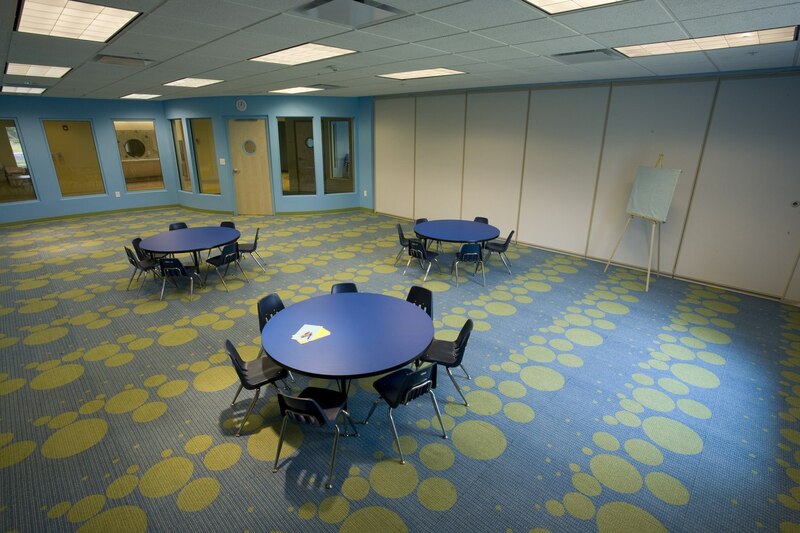 Grade-schoolers experience in-floor fiber optics, light columns, and fiber optic constellations. 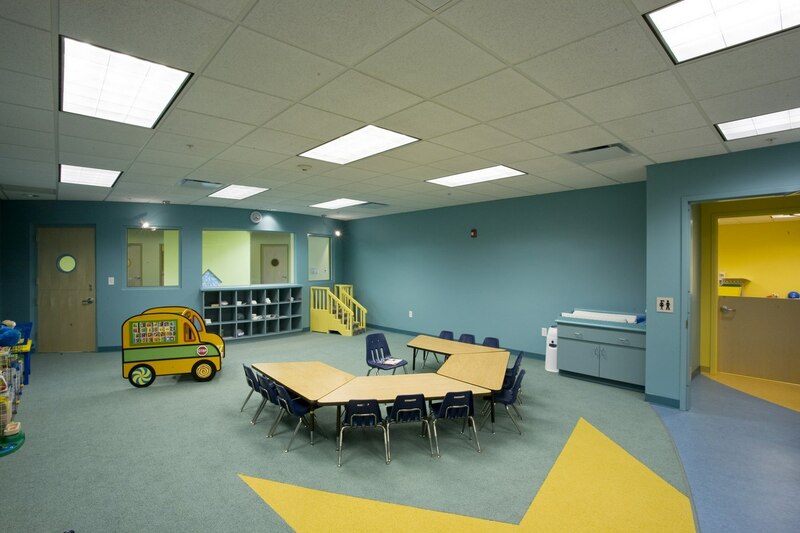 This new addition, connecting the existing worship area with their adult education space, enhances the mission of the church’s growing children’s ministry with an exciting space kids are eager to go to and disappointed to leave.